A simple, spoken request gives you the latest on weather, traffic, sports, finance, local businesses and more – powered by Google search. 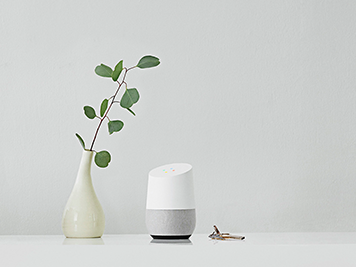 With Google Home, you can even ask for translations, calculations, nutritional information and unit conversions, and anything else you'd search for on Google – entirely hands-free. 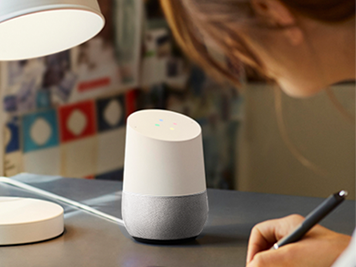 Google Home helps manage your everyday tasks by voice command. Simply link it to your Google account to set timers and alarms, add items to your shopping list, find out about your daily commute, schedule and more. It even recognises your voice and offers personalised assistance when you need it. Play and control music, podcasts, or radio using a simple voice request to access services like Google Play Music, Spotify, YouTube, Pandora and more. 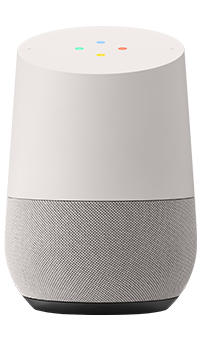 Google Home has a powerful speaker and microphones that ensure it hears your every request while delivering excellent sound quality. 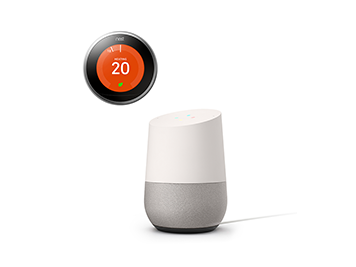 Control your smart devices with simple voice commands when you link Google Home to compatible smart home products such as Chromecast, Nest, or Philips Hue. 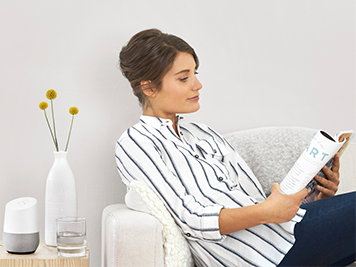 Control your TV, the room temperature, and even the lighting in your home – all without lifting a finger.